This would be a great opening for "light" nuclear pebble technology. Where are they? Seeing as it's Kansas, they probably also realized how thermoelectric power plants like nuclear/coal use up tons of water resources. And they ain't got the water. Furthermore, the chances of nuclear anything happening is pretty slim, considering we won't have anywhere to put the waste. Yucca Mountain is a no-go. New coal is no longer cheap. The China-unregulated price is $1000/KW installed. The US-regulated price is $2400/KW installed. With a strong chance that it would later need to do sequestration, which is another 70/100% ontop of that. Once those dirty coal fired power plants are installed, it is very difficult to add clean-up units or have the plants shut down. Ontario (and many other places) has had the very same problem with their coal plants for years. Yes, as an interim mid-term measure, a few large up-to-date nuclear power plants could be less damaging for the environment than 40 new dirty coal fired plants. In the longer term, multiple distributed solar power plants, with effective energy storage, should be the best sustainable solution. Actually, this is a big win for imported liquid natural gas. Increase demand for LNG is a big win for wind but that will make no difference because wind farms are being constructed at industry capacity. The legal uncertainty for wind is the same as coal. In most parts of the US, coal is still the cheapest new source of base load electricity. This is why generators have been selecting coal project ten to one over nuclear. Those places that were counting on a new coal plants on line by 2013 are screwed. New nukes will not start coming on line until 2014 at the earliest. Even today, nuclear waste storage is a small part of the cost of operating a nuclear power plant. Eliminating prohibitions on waste reprocessing turns the spent fuel rods sitting in ponds into gold (since "spent" fuel is only 1% burned in LWR designs and makes spent nuclear fuel into the best possible fuel source). And finally, gen IV reactors not only have cleaner waste than LWR designs (300 years and it's cleaner than uranium ore), but can burn the spent fuel currently sitting in storage, eliminating the requirement to separate out other actinides from the uranium before reuse. This reduces the cost of reprocessing by an order of magnitude and completely eliminates the proliferation risk (since there's no step where plutonium is concentrated). As in, gen IV reactors can clean up the nastiest and longest-lived products in current nuclear waste and use it to make electricity. Nuclear power is the future of the environmental movement. Getting behind nuclear is how we're going to minimize our impact on climate, among many other benefits. IMHO, anyway. Thats just because nuclear facilities aren't taking on the full costs. Much in the same way that the timber industry barely pays anything to the government, and then the forrest service maintains the forest at a net loss. Consider this, the price paid by power generating companies has never been increased. Even though the inflation has occured, and new evidence has shown that the real cost is much higher than original assumed. Essentially they are paying less than what it actually costs, and letting the tax payers pick up the rest. It seems like you're discussing the costs of nuclear waste disposal, while I'm discussing the costs of on-site nuclear waste storage. Certainly difficult to see how the utility company isn't paying for the cost of storage when the pool structure and maintenance for the pool is a part of the physical plant. You may then argue that only discussing storage ignores the costs of waste disposal, to which I answer: gen IV reactors and fuel reprocessing eliminate 99.5% of the volume of waste requiring long-term security, reduce existing storage needs to 10-15% of current usage, and yield a substantial net profit since the primary output is new fuel. Pretty much everything that might go in Yucca mountain should be reprocessed into new fuel for existing and newer reactors. That stuff is not trash, it's mislabeled gold. I see this as being a perfect storm for renewables such as solar PV, solar thermal, wind, and geothermal. * Chỉ cần từ 50 - 120 USD/tháng, Công ty của bạn đã có thể sở hữu 1 văn phòng làm việc chuyên nghiệp tại Building 19 tầng ngay trung tâm quận 1 Tp.HCM. * Thủ tục đăng ký đơn giản, hậu mãi chu đáo; có chiết khấu cho người giới thiệu (Hấp dẫn!). Specializing in custom-made Vietnam tours & Vietnam travel. We shall endeavor to make your Vietnam holiday a memorable one. Good quality and competitive prices is our motto, Join us and find out for yourself. We'll respond within 24 hours! Only 50 USD/month - You own an office at HCMC, Vietnam. In Today's ever-changing business climate, speed and flexibility are essential for success. Our professional-designed workplaces provide business of all ages and stages with access to the most prestigious building in central of HoChiMinh City, Vietnam. Our premiere workplaces are truly business-ready. Come on, sit-down and start your business at our fully-furnished offices and meeting rooms. Without up-front capital expenditures and build infrastructure, with our Virtual Office you can save up to 90% compared to traditional office. - Virtual Office service: Prestigious local business address, local phone number answered in you company's name, managed to your instructions. - Office space service: Fully-furnished workplace comes with professional staff. On-demand IT and administrative support are available where and when you need. - Meeting rooms : with full equipped facilities to run productive meetings. 'Gold' that costs several times more to reprocess than it's worth, unfortunately. Reprocessing has had a hard time globally not because of some evil regulatory conspiracy, but because it fails to make economic sense, even at today's elevated uranium prices. Even the french admit reprocessing isn't justified on economic grounds; they keep doing it only because the cost of waste disposal is so low that doing it in an economically inefficient way, by reprocessing, doesn't much affect the overall cost of nuclear power. Its not likely to allways be the case though. The price of uranium is going to stay up and the price of reprocessing inevitably will come down. You're too pessimistic on the future economics of reprocessing, because these are largely process driven costs that can only improve. Untill then (decades or centuries, it doesn't matter) dry cask storage is more than sufficient. This demand for a geologic repository is ridiculous fearmongering. I don't believe I've taken such a position. The future is a very long time, after all. I was addressing someone who was talking as if easing regulation of reprocessing would make a difference now. Dezakin wrote: The price of uranium is going to stay up and the price of reprocessing inevitably will come down. You seem to be implying a double-standard: "technology will improve the economics of one, but not of the other." As mining-techonology improves, the price of mined minerals will drop. Eventually, humans will drop out of the loop entirely, and mining will be purely mechanized. At that point, the cost of mined-minerals would simply be the cost to lease the land. Even without technological improvements in mining, mined-uranium is likely to drop to some $20 per kilogram and stay there for a long time. At a 10-trillion-fold per millennium rate of increase of societal power consumption, it would be several centuries from now before mined-uranium became so expensive ($700+ per kilogram, according to Richard Garwin) that reprocessing would begin to approach economic competitiveness. No, it would also be the automation capital. The price of uranium is going to stay up for a long while because it has been depressed by an artificial glut from the downblending of weapons grade uranium. Hell, today capital is far more expensive than labor in most mining operations and stripping humans entirely out of the picture would change little for the economics unless you make the capital itself cheaper. The processes behind mining offer little in the way of drastic improvement. Its still going to be dig and crush. Reprocessing on the other hand has a number of potential advantageous future process developments such as molten salt reprocessing, and more automation here would likely improve the economics much more than mining. Also reprocessing yields chemicals that just cant be ramped up by mining, such as fission platenoids, xenon, and useful radioisotopes. Sure, mining capital may get cheap enough where we'll have a throwaway society for a long long time, but I suspect the technology for reprocessing will advance faster. Dezakin wrote: No, it would also be the automation capital. Please be more specific. Within the realm of automation, what exactly are you imagining would require capital, and why? As I said, there would be no humans in the loop. Do you mean to imply then that most mining operations today use only hand-tools, and armies of laborers? The Pharaohs used armies of laborers, but even they employed labor-saving automation, Dez. If you want to see some labor costs, you can take a look at this. $20/hr for raw labor; $30/hr with benefits added-in. Maybe insurance would be extra. The expenses of human-resources and supervisory work are not included in that, nor are the expenses of catering to the miner's needs for life-support and creature comforts. 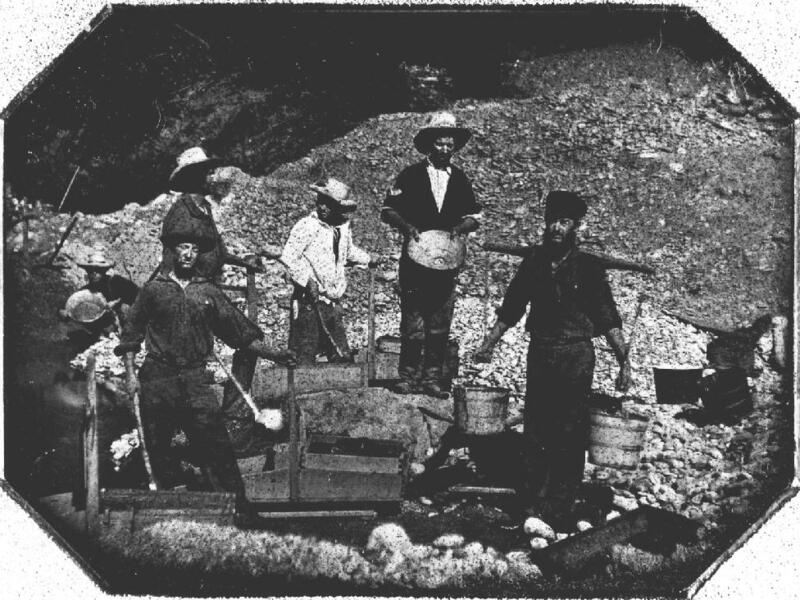 If labor were not expensive, few mining-operations would be investing in expensive mining-machinery -- they would simply hire more cheap-laborers and hand them shovels and picks (the old-fashioned kind). Dezakin wrote: The price of uranium is going to stay up for a long while because it has been depressed by an artificial glut from the downblending of weapons grade uranium. Why is uranium crashing toward $20/kg? Is it going to break off its steep dive and go back up soon? Did weapons-downblending begin in 1981 (as might be guessed after looking at the price-chart)? Nothing is ever thrown away, Dez. It is either used, or saved for the automated future -- but it is not thrown away. The costs of both mining and reprocessing are heading, s-l-o-w-l-y, toward zero. Mining has a big head-start on reprocessing in this race toward zero-cost. Scarcity will eventually drive mining-costs higher than those of reprocessing -- but even at a societal-power ramp-up rate of 10-trillion-fold per millennium, it would be several centuries before scarcity could factor-in to that degree. Do you mean to imply then that most mining operations today use only hand-tools, and armies of laborers? You're reading exactly the opposite of what I was trying to comminicate; Mea Culpa for not being more explicit. Today companies spend far more on capital in mining than in labor, simply because capital is more productive. Removing labor entirely from the loop wont have a massive effect on the bottom line of mining because they allready spend most of their resources on capital anyways. Why is uranium crashing toward $20/kg? Is it going to break off its steep dive and go back up soon? Just normal market fluctuations from a ridiculous price peak. I'd sure bet it will stop diving. Did weapons-downblending begin in 1981 (as might be guessed after looking at the price-chart)? Almost. There was a lot of surplus capacity from the demand generated at the tail end of the cold war that just got chopped with the START treaties. Oh come on, we're barely disagreeing on anything. There's no need to be patronizing and pedantic. Nucbuddy wrote: Please be more specific. Within the realm of automation, what exactly are you imagining would require capital, and why? As I said, there would be no humans in the loop. Dezakin wrote: Today companies spend far more on capital in mining than in labor, simply because capital is more productive. Besides land-leasing fees, what is causing the costs of any of these items to be higher than zero? Those are the capital costs. I'm boggling at how you can say that none of those have cause to be higher than zero cost, when you've already mentioned how "expensive mining-machinery" is. Nucbuddy wrote: These are the capital costs. Clee wrote: Those are the capital costs. Did you have a question, Clee? Nope, just boggling about the apparent contradiction of expensive, yet zero-cost equipment. But later it occurred to me that you might have been talking all hypothetical and didn't mean one of the other. The reason DOE is investigating reprocessing is that it appears that reprocessing is at the break even point now. It is now a choice to be considered which will cost about $20 million in R&D. When considering mini ming chemical leaching should be considered. Kit P wrote: it appears that reprocessing is at the break even point now. Please show your math. Richard Garwin has shown his math. This saving of uranium comes at a very high price. Assuming a reprocessing cost of $1000/kg of spent fuel, and noting that 5 kg of spent fuel must be reprocessed for each kg of MOX fuel produced (that is, 5 spent fuel elements for each fresh MOX fuel element), it is a simple matter to calculate the cost per kg of uranium saved. Each kg of fresh fuel element (5% U-235) requires 9 kg of natural of uranium, although less NU [New (e.g. mined) Uranium] would be required if the tails concentration from the enrichment plant were reduced, as would naturally follow from the higher price of uranium. Nevertheless, at 9kg of NU per kg of LEU, the break-even cost of uranium as contrasted with reprocessing would be $5000/9 = $555/kg of NU. In reality, the fabrication of a MOX fuel element, given the MOX material is far more expensive (by about $1000/kg) than is the fabrication of a UOX fuel element. So the break-even cost of NU that would make reprocessing and recycle in LWRs a wash is thus about $555 + $1000/9 = $666/kg of natural uranium. For comparison, I show the historical cost of uranium. Now, it may be that 50 years ago with less knowledge about the availability it might have seemed a good bet to reprocess. But that bet has failed, and it has made no sense for Rokkasho to be built and it makes even less sense from the point of view of saving money and uranium for the U.S. to go into reprocessing. A widely available and authoritative report on reprocessing technologies is available on the web.5 The STATS report (pp. 440-441) addresses Argonne National Laboratories (ANL) estimates of cost for pyro processing of LWR spent fuel, with a target of $350/kg HM (per kilogram of heavy metal contained in the spent fuel). Although such a number would require that pyro processing be six times cheaper than large-scale aqueous reprocessing, STATS quotes an estimate that "unit reprocessing cost for an investor-owned plant for pyrochemical processing of LWR spent fuel would be, instead, 57% greater than that for an aqueous reprocessing facility of the same throughput." I can't imagine how he would make such an estimate without seriously inventing a bunch of numbers, and the report speaks of cherry picking the data. Its seems pretty straitforward to just do uranium extraction via fluoride volitility. Suggesting ANL's chloride pyroprocessing/electrorefining technique (which was geared for liquid metal fast breeder reactors using metalic fuel after all) is suboptimal for LWR reprocessing is not the largest surprise in the world. Kansas wind farm developers are all up in arms. Without the coal plant, the new transmission line will not get built. Without the new transmission line, windmills are just a mechanical failure test lab. KitP: "In most parts of the US, coal is still the cheapest new source of base load electricity. This is why generators have been selecting coal project ten to one over nuclear. Those places that were counting on a new coal plants on line by 2013 are screwed. New nukes will not start coming on line until 2014 at the earliest." KitP: "Marcus, it would appear that you neither understand Bush policy or how to reduce AGW. Therefore, you come to the wrong conclusion. Making ghg emissions more expensive will not work because there is no alternatives. Taxing something that you depend on will not help unless there is a cleaner choice." Anyone notice something funny going on here? i think it is nice i want to know more about it.